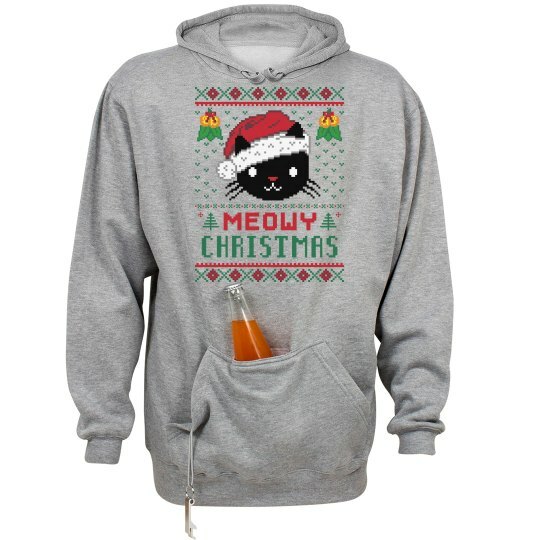 I'm going to wear this funny and cool Santa cat hoodie to wish all my family a Meowy Christmas! HA! clever. I know. This comfy ugly sweater is just what I need to make everyone when they open their presents.